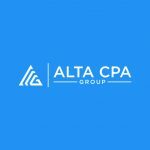 Todd is a founding member of Alta CPA Group and has ten years’ experience in accounting. Todd’s expertise lies within not-for-profit and government organizations. He has an extensive background with not only maintaining general ledgers, but also with auditing and implementing accounting systems and cost allocation processes unique to nonprofits, government agencies and government contractors. Prior to working with Alta, Todd was an Accounting Officer with the District of Columbia Courts, where he was responsible for a full variety of duties involved in general ledger management, reconciliation of balance sheet accounts, general ledger postings, recording revenue and expenses, maintaining trial balances, reconciling the Court’s Fund Balance with the U.S. Treasury, GTAS reporting, coordination with external auditors and OMB Circular A-123 consultants, and preparation of financial statements. He has a stellar track record working with organizations with process challenges and compliance findings on their audits, taking the lead to help redesign their finance functions and position them for success moving forward. Todd has been a Maryland Certified Public Accountant since 2010 and a Certified Government Financial Manager since 2014, and is a member of several professional organizations, including the Maryland Association of Certified Public Accountants and the American Institute of Certified Public Accountants. He serves on the Board of the Volunteer Center of Anne Arundel County. ©2019 Alta CPA Group LLC. All Rights Reserved.